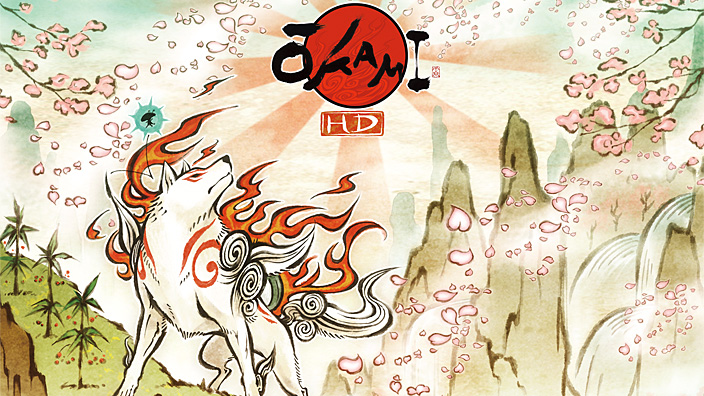 Ōkami originally released for the PS2 in 2006 or 2007, depending on your region. A port for the Wii released in 2008, with the game receiving a full HD remake for the PS3 at the end of 2012. It also received a sequel for the Nintendo DS which released in the West in 2011, titled Ōkamiden. It’s the game that got me into gaming. Up until I played Ōkami, I didn’t play very many games at all, but after playing this one, I decided I wanted to try more. So when I finally got a PS3 last year, I made the HD version of this game the first one I played on my new console. In Ōkami, you control the sun goddess of Japanese mythology, Amaterasu, as she journeys the land of Nippon to rid it of darkness and seek out her fellow deities. The past hundred years without her had seen a resurgence of demons as the people’s faith in the gods waned, so Amaterasu must also work to restore confidence in her divine fellows as she travels. She is accompanied by the talented wandering artist, Issun, and both are assisted by the tree spirit Sakuya. Ōkami borrows heavily from Japanese myth and culture; all of its main characters and locations have some relation to Japanese fables. The game even utilises a style of Eastern Asian ink wash to bring the vivid world to life. It’s beautiful artwork that fits in well with the game’s plot, as Amaterasu wields the powerful Celestial Brush, able to harness the power of the gods with its brush strokes. 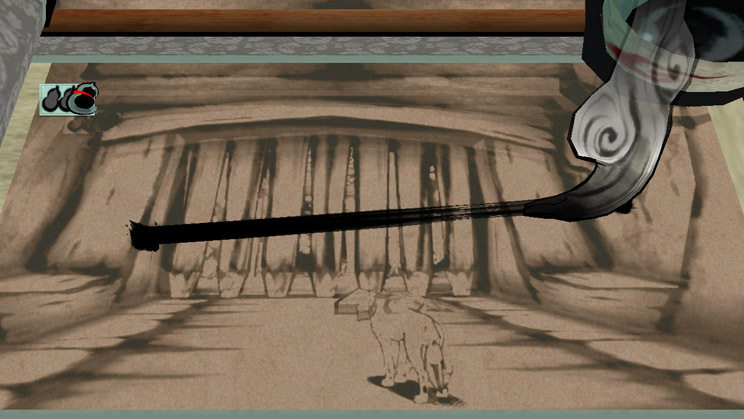 The Celestial Brush is used to solve a number of puzzles presented to Amaterasu, both in the field and in dungeons. The rich characters of Ōkami were one of my favourite aspects of the game, as each and every one has their own unique personality. None of them are generic, or there simply to make the world look busy. The game has you aiding a number of these people, and does an excellent job conveying that they each have their own lives and stories to tell. A couple of favourites of mine were a set of sisters, who Amaterasu keeps running into throughout her travels. Each time, the older sister claims the gods do not exist, to which the younger sister would protest. The elder would then issue a challenge to the gods, which upon completion, would increase her faith a little more. The quest line ends with the older sister realising that Amaterasu is some kind of god, which after all of those challenges was immensely satisfying. As Amaterasu travels Nippon with Issun, restoring faith in the gods and banishing demons, she accumulates praise from the land, the animals and the grateful people she assists. Completing sidequests, restoring nature to its former glory, feeding animals and aiding people and wildlife are some of the tasks Amaterasu can complete to gain more praise. As someone studying conservation biology, the game’s affinity with nature was another aspect I loved. It had several nice effects to demonstrate this, my favourite being flowers springing up behind Amaterasu as she ran. There are many sidequests to complete and stray animals to ferret out and feed for more praise. For those who like to collect items, there are unique treasures to be found, fish to be caught, and more. Scrolls float around the fields of Nippon, which will chase Amaterasu as she passes them by. Should one touch her, a battle will initiate, and she will need to defeat a few demons before she can resume her journey. She can attack with her regular and a subweapon, and can use her Celestial Brush to deal damage with the techniques she has learned from other gods. These battles do not award any experience. Rather, they give out yen, which can be used to purchase items, weapons and weapon upgrades. More yen is awarded for more efficient fighting; taking no damage and fast times are rewarded. Battle was a fun experience in Ōkami, as there were always new kinds of demons that required a new way of thinking if Amaterasu wanted to defeat them easily. Praise is gained by completing sidequests and restoring nature, and is used to power up Amaterasu. She can use her accumulated praise to increase her HP, the amount of ink she has at her disposal for her Celestial Brush, and to make her wallet bigger. She can also acquire more astral pouches; the more an astral pouch is filled, the more HP Amaterasu will revive with when she falls in battle. If she has no food in any of her astral pouches, the player will be taken back to the title screen and forced to continue from their last save. I never had this happen to me once, as the food required to fill the pouches is easy to find all over Nippon in large quantities. Ōkami’s soundtrack is one of my favourites of all time. It draws from classic Japanese styles, and has a wide array of tracks that are well suited for every situation. My favourites were the upbeat ones for the game’s large fields, as well as the beautifully written pieces that accompanied the game’s major plot points; it’s a soundtrack I listen to often, especially whilst studying. 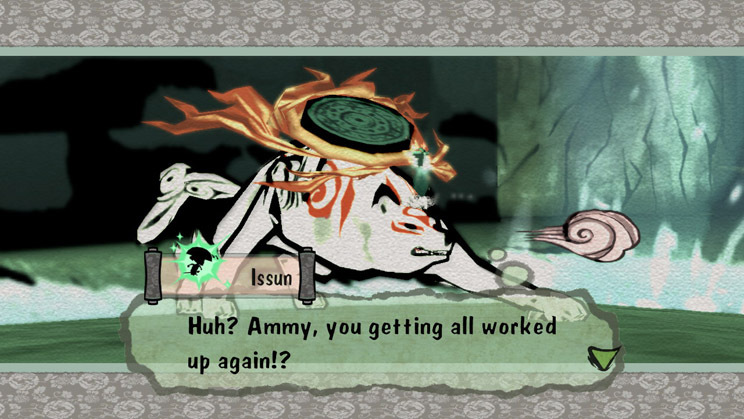 All up, I spent 50 hours in Ōkami HD, finishing one bestiary entry away from a platinum trophy. The game offers a new game plus option in which you come back as a superpowered Amaterasu to play through the game at a more leisurely pace. Ōkami HD is a game I would recommend to anyone in search of a unique adventure. 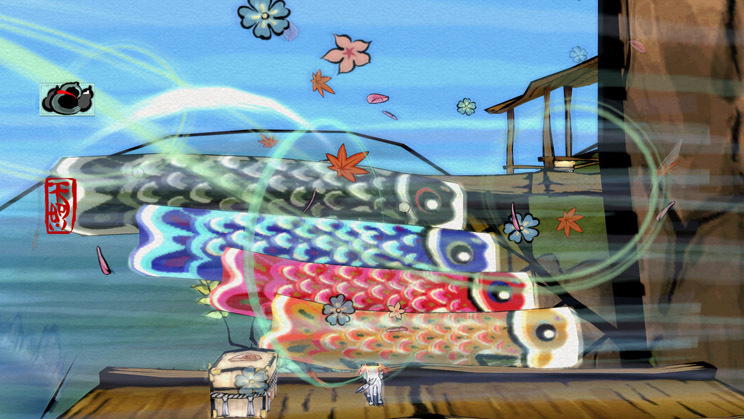 Between its well-designed gameplay, stunning visuals and gorgeous plot and characters, Ōkami is a game that will remain one of the most beautiful gaming experiences I have ever played. The HD version accentuates the game’s features even further, so if you plan to pick it up, make it this version.